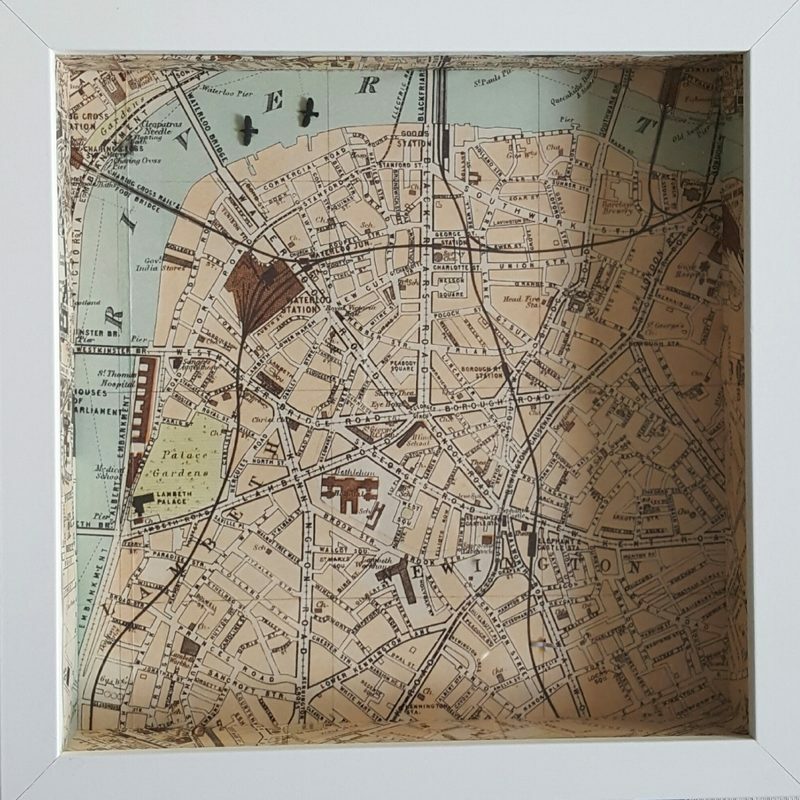 This work was inspired by the ravens at the Tower of London and a beautiful old London map I found. 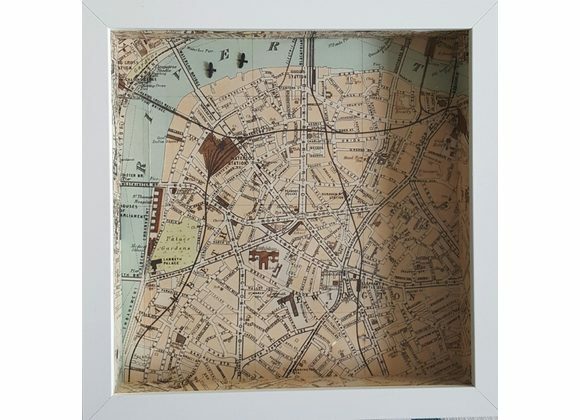 A white wood deep box frame was carefully lined with the map and the tiny model ravens glued into place over the river. Legend has it that if the ravens ever leave the Tower of London then London will fall! 10 x 10 x 1.8 inches/25.4 x 25.4 x 2 cm.